Startups are, and will always continue to be, an integral part of The Next Web Conference. Over the past 3 editions more than 25 startups raised a total of over €50 million($65.8m) in funding during or right after their appearance at The Next Web Conference – and those are merely the deals we know of. On Thursday (26th of April) and Friday (27th of April) we’ll have 20 startups launching their startup on stage, 66 startups presenting in the business area and many more that come to The Next Web Conference to get funding, seal deals and create long lasting partnerships. We’re bringing back a great concept from a previous edition – the Investor Open Office-hours. It’s our attempt to facilitate valuable meetings between investors and entrepreneurs, where both get the opportunity to sit down and talk briefly for 15 minutes about the future, funding and all things startup. The Investor Open Office hours are on Thursday from 12am – 2pm and Friday from 9.30am – 11.30am. We’ve dedicated a separate page to all the investors that want to meet your startup at The Next Web Conference 2012 – check out the overview here. Entrepreneurs can now sign up for the Investor Open Office Hours. Investors can apply for the Investor Open Office Hours. For those of you who are interested in seeing which of your contacts are attending TNW2012, start networking and sign up for the business network. See you at The Next Web Conference 2012! The final 50 tickets are now in the store – get them before they sell out. 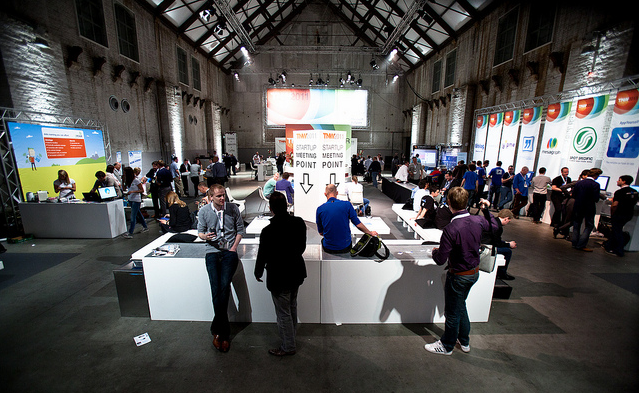 Follow all of our coverage of The Next Web Conference 2012 here.